Do oral care and arthritis pain have a relationship? Research and studies have shown that the pain associated with arthritis can be alleviated to a great extent if the active gum disease is treated on time. This is particularly helpful in dealing with problems like inflammation in the joints and morning stiffness. During a study that was conducted last year, about forty patients having mild to severe periodontitis with rheumatoid arthritis were brought under observation. There were four groups in total. One of the groups was given drugs that were effective in blocking production of a particular toxin present at the sites of inflamed rheumatoid arthritis. The other group was given medications along with nonsurgical periodontal treatment for cleaning and removing infection from bones as well as gum tissues. The third group only had nonsurgical treatment while the fourth group had no treatment at all. 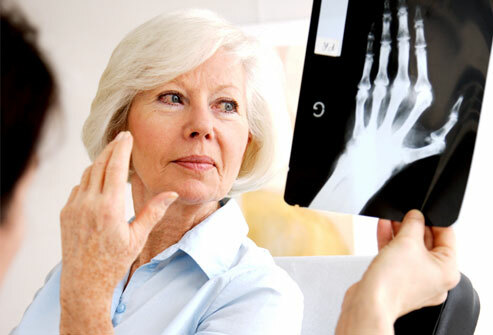 By the end of the study, patients who got nonsurgical periodontital treatment showed improvements in their arthritis symptoms. Experts also believe that dental care can be really difficulty for patients with special health needs, which includes arthritis sufferers. Dental experts recommend making use of a wide elastic band for attaching a toothbrush to the patient’s hand or enlarging the handle of the toothbrush by attaching a sponge etc. Other tricks include increasing the handle in length with a ruler or tongue depressor along with using a commercial floss holder or electric toothbrushes.